Let me first apologise for just how late I'm getting this post up - in my defence, a lot of the questions for this week of the 30 Days of Anime Challenge were actually very, y'know, challenging! XD Having to narrow down my favourite anime characters, couples, and series overall was insanely difficult! I'm sure that a lot of you might have the same problems with trying to narrow down your favourites when there are so many amazing characters, couples, and anime series out there to choose from! Day 8 – What is your favorite anime so far? Dude, do you have any idea how hard this question is to answer?! Gah... Well, thanks to this anime tag, I have been watching a lot of new animes lately. A few of my recent favourites have been My Little Monster, Recovery of an MMO Addict, and Your Lie In April. Sorry, but deciding on recent favourites is as close as I can get to deciding on an overall favourite. I will say that two of the animes I have probably re-watched the most throughout my life have been Fruits Basket & Ouran High School Host Club, and those series will always have a special place in my heart. Day 9 – What anime series will you never watch? 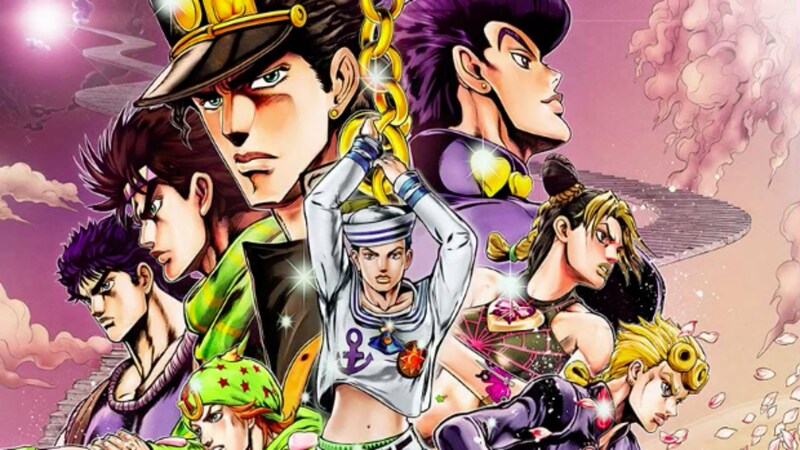 One of the first series that comes to mind, unfortunately, are the many facsimiles relates to Jojo's Bizarre Adventure. Some of the different series sound vaguely interesting, but I think the combination of the art style with the overall style of the anime as a whole isn't something I could soldier through for very long. Also, as much as I have tried to like (and understand) it for my boyfriend's sake, I haven't been able to get into Mob Psycho 100. Day 10 – What anime destroyed you emotionally? I've mentioned this in many a post and many a conversation, but I don't get too emotional regarding most media. The closest I came to crying over watching something involved a scene near the end of Bridge to Terabithia where the shadow man turns out to be the boy's father, and... yeah, long story short, I'm made of stone XD But once I finally reached the conclusion to the anime series Orange that I recently binged on Crunchy Roll, it brought a tear to my eye. The subject of suicide and how it's represented in this anime really struck a chord with me, and I felt that it was well represented without being depicted unrealistically or being portrayed too darkly for a wide-ranged audience to be able to relate. Day 11 – Who is your favourite female anime character? Day 12 – Who is your favourite male anime character? I'm trying not to be biased and answer the question of favourite male anime character with my answer for hottest male anime character 😅 Just like the 'favourite anime' question, this question is way too hard, but let me see... I think I have to go with Kyoya Otori from Ouran. He's the "Shadow King" that helps keep the club together, and he's always a loyal friend to Tamaki and the rest of the club - plus, yes, he would also be my pick for hottest anime character 💕 ESPECIALLY Kyoya's character in the live-action Ouran series - I'm freakin' in love with him! Day 13 – Who is your favourite anime couple? Day 14 – What is your favorite anime opening or ending? The credits song is actually an English one, and it's a song many of you may already be familiar with, but this anime was actually my first exposure to this song and I immediately fell in love with it, as well as the band: Do You Want To by Franz Ferdinand. So, the animation for the credits/outro is SUPER WEIRD, and for a while it was painful to watch, but I just loved the song so much that I would play it after every single episode instead of just skipping it and going on to the next episode. Anyway, I hope you enjoyed my answers to the 2nd installment of the 30 Day Anime Challenge. Once again, this challenge/tag was created by A Geeky Gal & you should really go check out her blog to see all of her anime-themed answers. Also, if you would also struggle with figuring out your favourite anime characters, couple, and series - or even if you could name them at the drop of a hat! - let me know in the comments below.